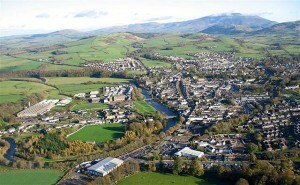 Cockermouth is a great place to live, with its beautiful medieval features and surrounding countryside. But what makes it a good place to live is the sort of community it has. 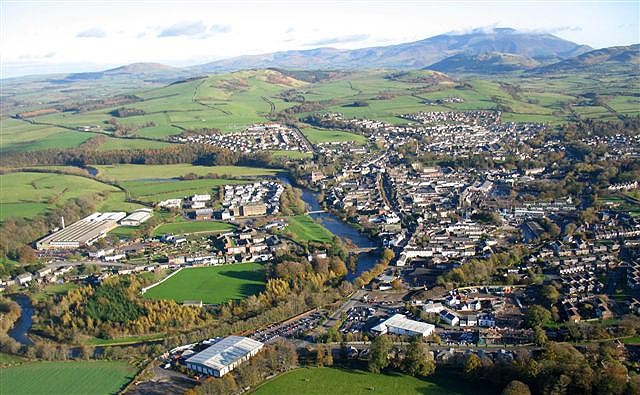 Being a hog roast Cockermouth caterer for Spitting Pig, I get a great insight into the town, and what makes it tick. We get to cater for people’s special occasions and events – days and nights which are often some of the most important that people will ever have. We cater for weddings, private parties of all sorts, charity fundraisers, festivals and fairs, and corporate functions. We see the whole gamut of events, and we know how to make them extra special for you. Think hog roast Cockermouth, think Spitting Pig. Spitting Pig is a great company to work for, because no two days are the same. 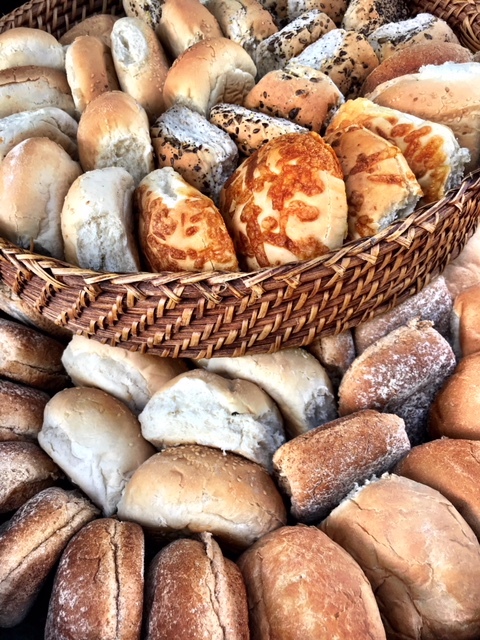 We offer the customers a great deal of flexibility in what sort of food and what sort of set up they can have with us, which means that we have to be prepared for anything. 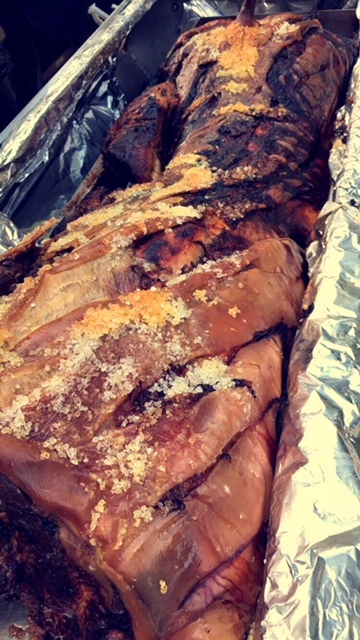 One thing we can rely on, though, is our hog roasts. We have perfected the art of the hog roast through years of careful tweaking of our equipment, method and preparation. We use custom-designed spit-roasting machines to ensure a clean and efficient process, which produces absolutely delicious, top quality results – every time. But the great thing about Spitting Pig is that we blend the tradition of the hog roast in with absolutely cutting edge modern cuisine. Our experienced and talented chefs have worked hard to design menus which are fit to grace any modern gourmet establishment. That means you can enjoy the succulence and simplicity of a hog roast even in the ornate setting of a three course meal. Our contemporary and innovative menus mean we can offer all-comers something special, whatever your event or budget. So you can see that we really go the extra mile to make people equate hog roast Cockermouth with the Spitting Pig! Our staff are incredibly professional and their sole job is to give you your perfect day – and to do all they can until that day to help everything go smoothly. We believe in making effort even about the small things such as ensuring rubbish is cleared away from the site, maintaining high standards of appearance for all our staff, and bringing gazebos with us to stop the rain from hampering our efforts (although we can cook indoors, too). Spitting Pig also offers an innovate hog roast hire Cockermouth service which allows you to rent one of our machines for as much a month. This is a great way to take catering into your own hands, and to become the chef! The hog roast is an innately social way of cooking, as it takes care of itself, and there is the spectacle of carving up which is a spectacle. Gather all your friends round it to give your next party an extra twist. Similarly, hog roast hire Cockermouth is a great way to trial the machines if you are interested in potentially purchasing one outright. We offer a range of machines, spit-roast and others – it is best to contact us to find out which would be most suitable for your purposes. As you can see, our services are varied and flexible. We like to have a close relationship to all our customers, from the quote stage to the day itself – and after. This is because it is only by contacting us and planning your day one-to-one with us that you get the best out of services. So don’t hesitate to contact Spitting Pig now if you are planning a pig roast Cockermouth style!